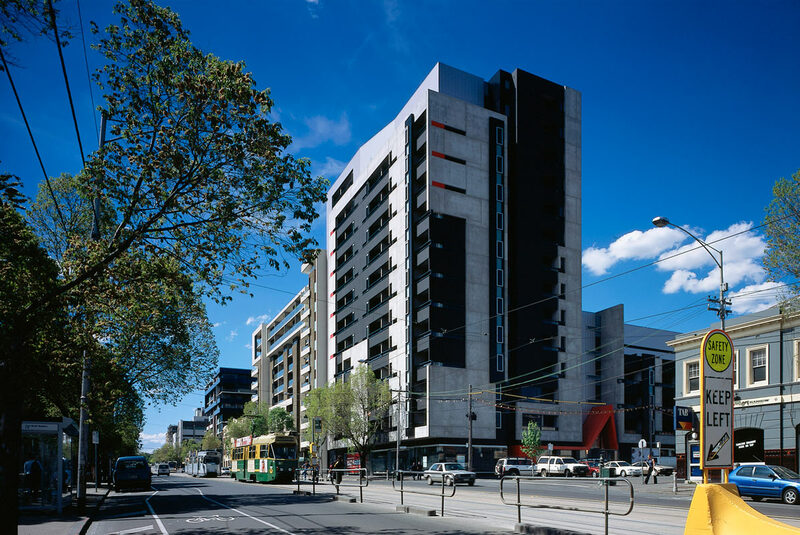 Seasons Apartments completes a three-stage redevelopment bordering Lincoln Square in Carlton, on the edge of the city grid. As well as 157 apartments, retail stores, restaurants, car parking and an outdoor landscaped podium, Seasons incorporates an impressive foyer which was designed to be an extension of the external architecture. This was primarily achieved through the use of colour and form. In designing the foyer, Hayball aimed to enrich the occupants’ experience of ‘coming home’. 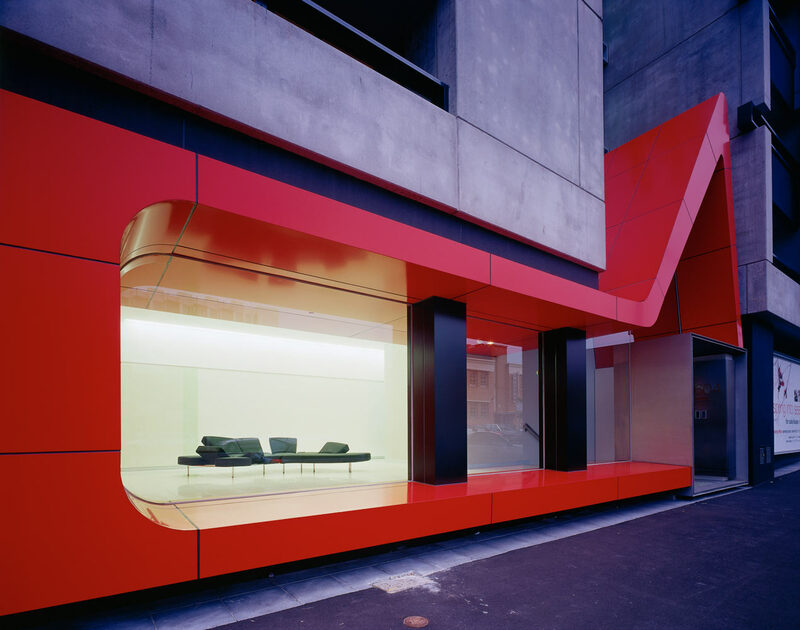 Faced with an unusual site orientation, where the entrance is located away from the primary building frontage, the foyer needed to clearly express the entry, while providing a transitional space to the lift lobby. As well as providing continuity between the interior and exterior, the use of colour engages with and guides the occupant. 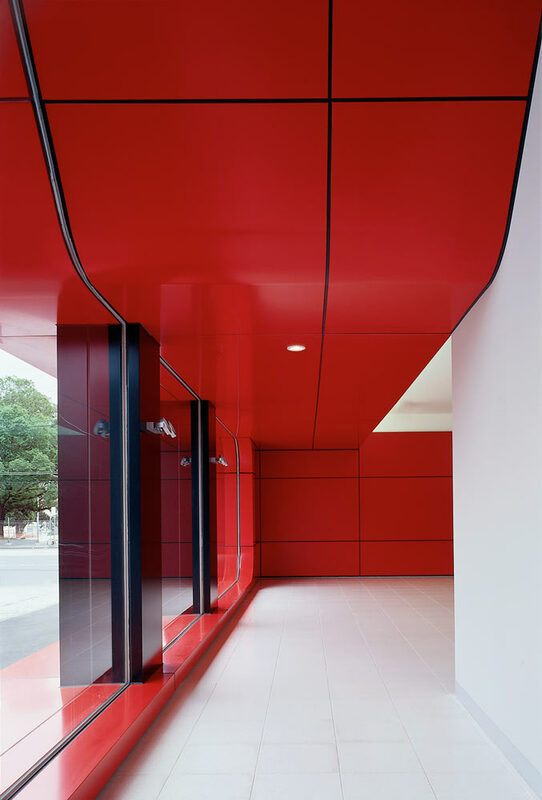 A fluid form wrapped with red steel panels highlights the ‘portal’ into the foyer. Red threads through the interior space link the foyer to the linear lift lobby. 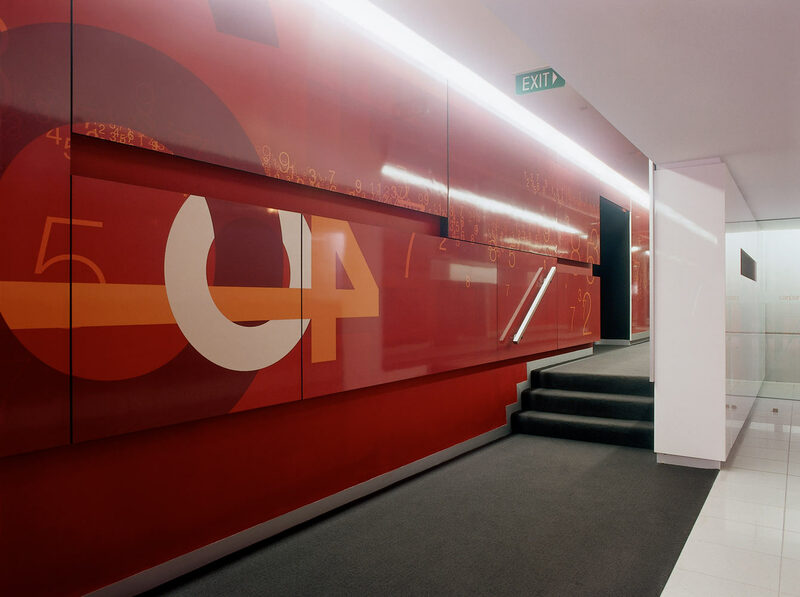 Panels composed of graphic artwork are featured against the lobby wall, which act as a ‘path-finding’ device to guide the occupant to the lift. In contrast, a palette of green, mint and white features in the entry foyer and is clearly visible to the passing Pelham Street traffic. The simplicity of the internal foyer finishes provides a contrast to the rawness of the exterior materials, as well as a relief to the busy external environment. 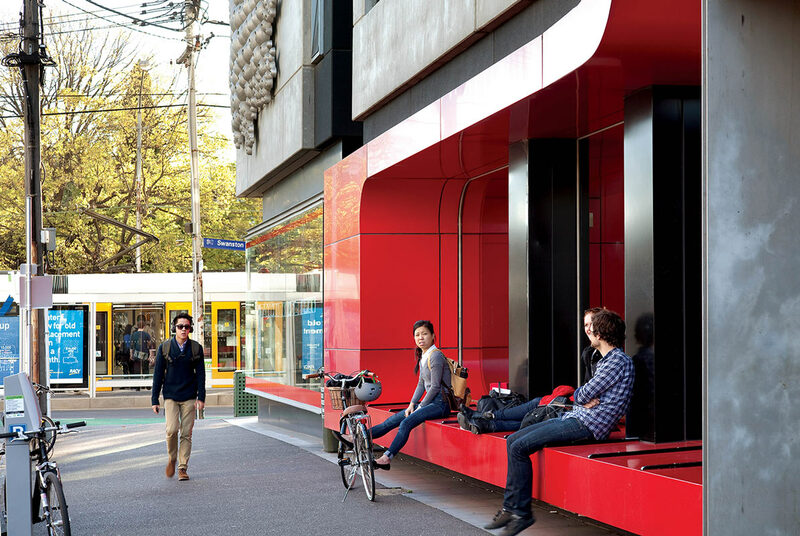 While colour was a prominent design strategy, materials, such as glass, steel and concealed lighting, were used to contribute to a sense of space. Full-height mirrors were installed to reflect the graphic panels and lighting, effectively doubling the impact. 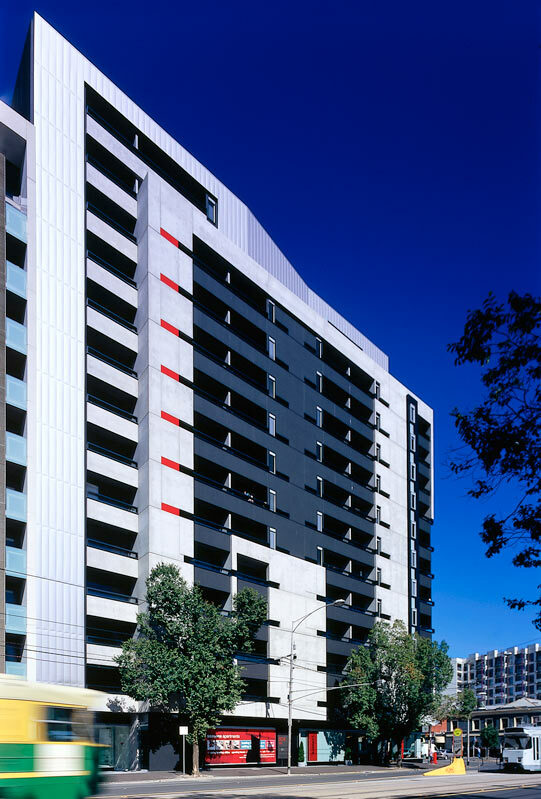 The Seasons Apartments foyer won the Commercial Interior category of the 2005 Dulux Colour Awards, rewarding “creative use of colour”.